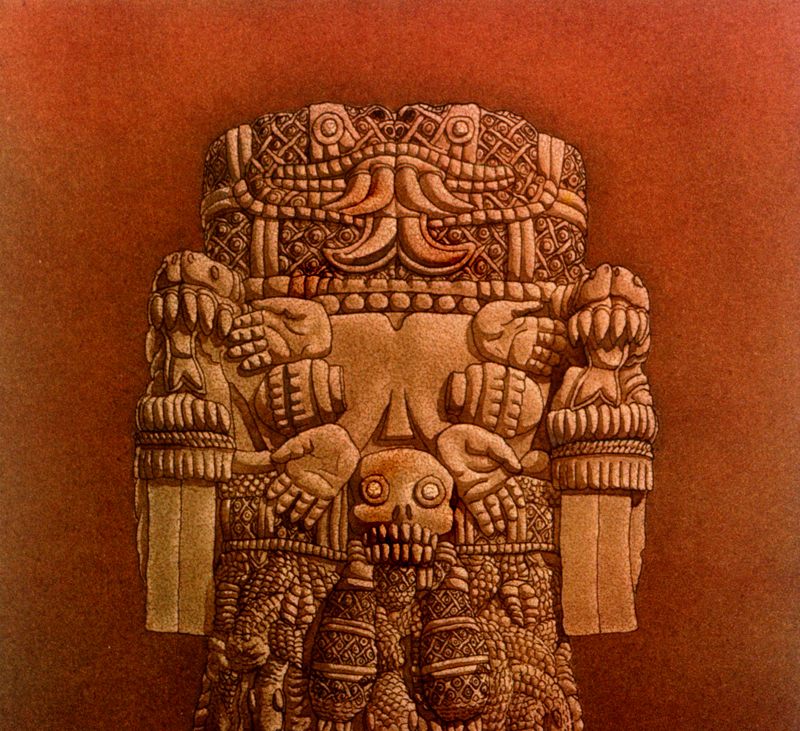 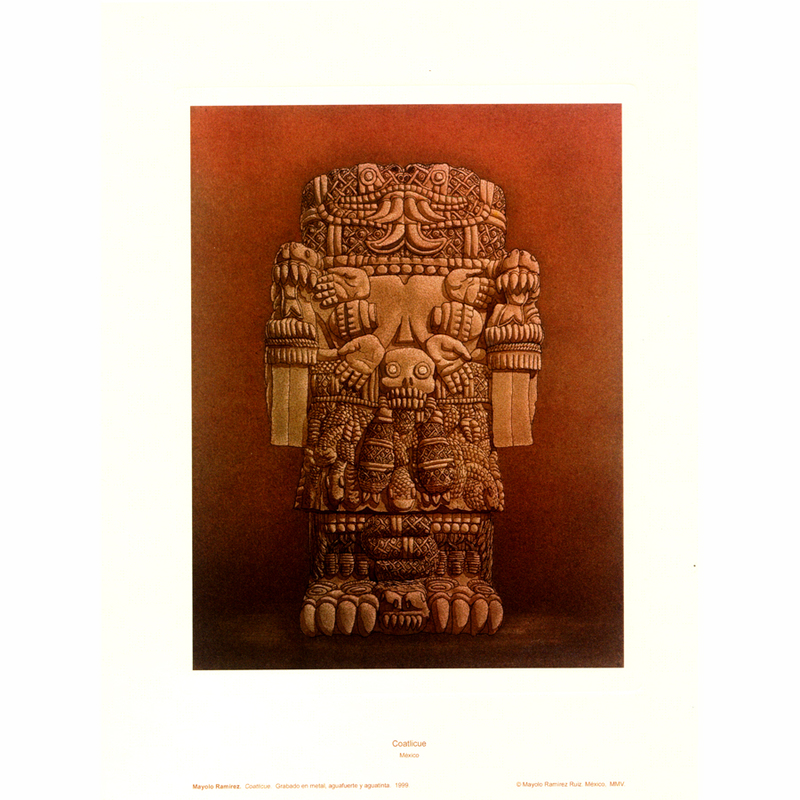 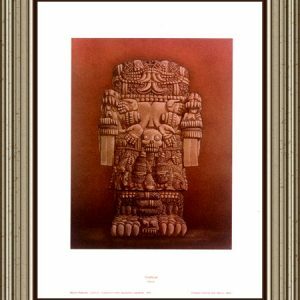 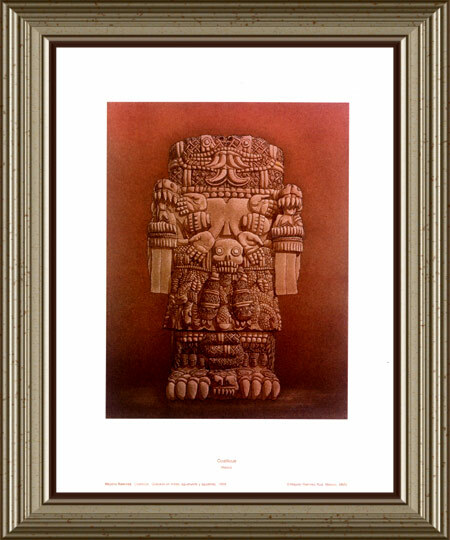 Coatlicue, according to Aztec Mythology, was the goddess mother of the human race and an exemplary synthesis of the sensibility and cosmogony of the people of the sun. 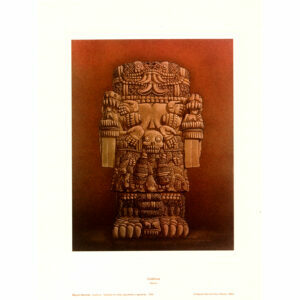 She was the mother of Coyolxahuqui who represented the moon. 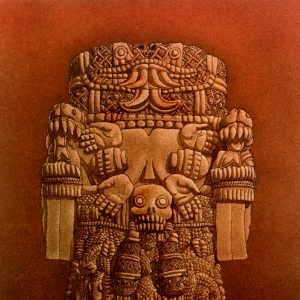 The Aztecs represented this goddess in a great monolith, 2.5 meters, as a woman wearing a skirt of writhing snakes and a necklace made of human hearts, hands and skulls. 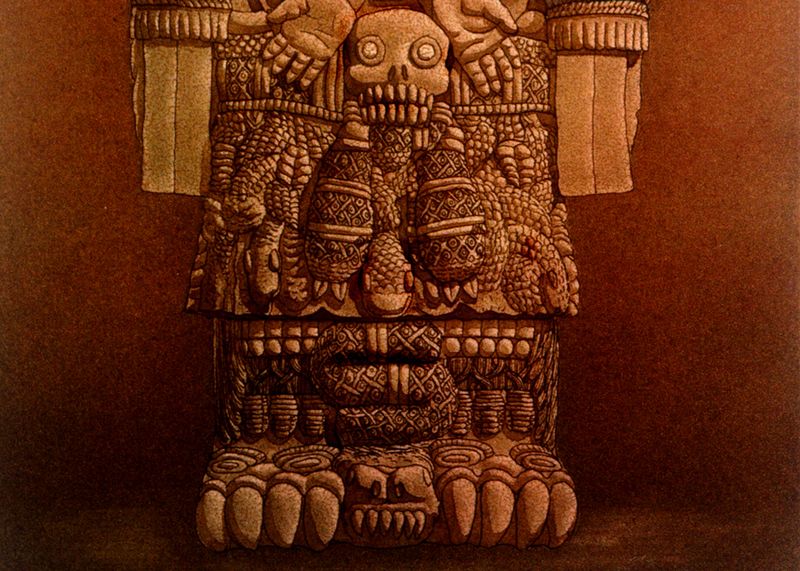 Her feet and hands are adorned with claws and her breasts are depicted as hanging flaccid from nursing. 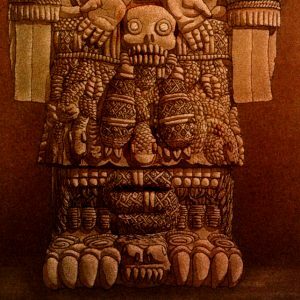 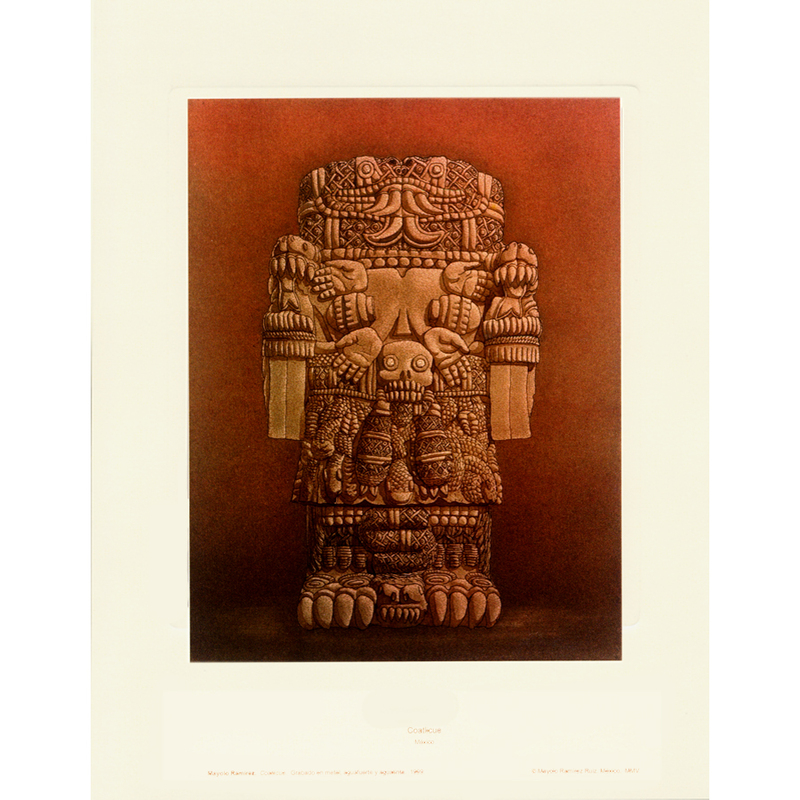 Coatlicue keeps on her chest the hands, hearts and skulls of her children so they can be purified in their mother’s chest. Lithograph printed in Guarro artistic paper and hand embossed edge.